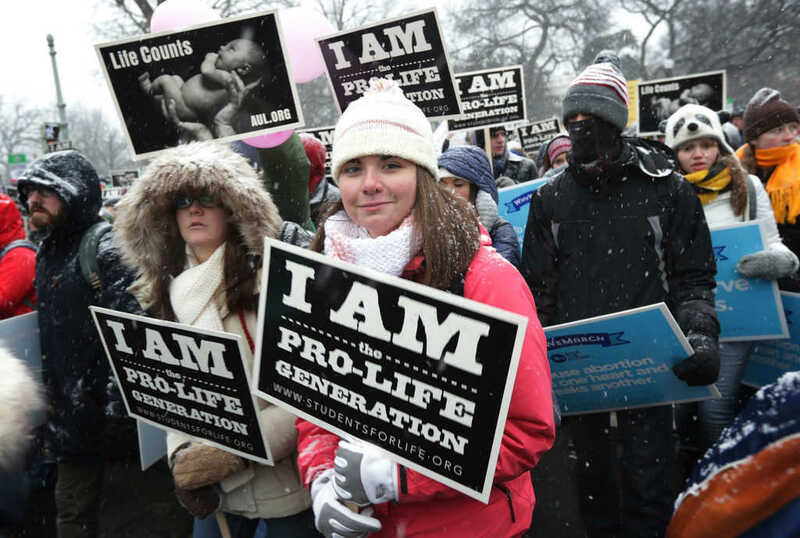 Pro-life advocates around the country are praising the recent Supreme Court victory, where they ruled against a California law that forced pregnancy centers to actively promote abortions. Last year, California passed the Reproductive Freedom, Accountability, Comprehensive Care, and Transparency (FACT) Act, which required all crisis pregnancy centers to promote abortion. Pro-life groups around the country have been celebrating the Court’s decision as the ruling was a huge win for the pro-life community. The majority’s opinion stated that the California rule went against protected speech, and infringed upon the rights of the pregnancy centers in the state. “The unlicensed notice imposes a government-scripted, speaker-based disclosure requirement that is wholly disconnected from California’s informational interest,” the opinion read. Prominent pro-life groups and advocates have responded in a resounding chorus, praising the Supreme Court’s decision. “Pleased that today’s decision protects Americans’ freedom of speech. Speakers should not be forced by their government to promote a message with which they disagree, and pro-life pregnancy centers in California should not be forced to advertise abortion and undermine the very reason they exist,” Sessions stated. Michael Farris, the CEO of the Alliance Defending Freedom, also applauded the ruling. “In this case, the government used its power to force pro-life pregnancy centers to provide free advertising for abortion. The Supreme Court said that the government can’t do that, and that it must respect pro-life beliefs,” stated Farris, who also helped argue the case in front of the Supreme Court. “Tolerance and respect for good-faith differences of opinion are essential in a diverse society like ours … They enable us to coexist peacefully with one another. If we want to have freedom for ourselves, we have to extend it to others,” Farris added. Lila Rose, the founder of Live Action the pro-life advocacy group, called the FACT act “one of the worst offenses against First Amendment rights we’ve seen,” and commended the ruling. Rose also noted how important it is for pro-life centers to exist, as they work to save the lives of the unborn. “They are providing advocacy, education, baby supplies, parenting classes, and maternity care to women in need. In addition to helping women during pregnancy, they often provide support long after the baby is born,” stated Rose. Timothy Dolan, the United States Conference of Catholic Bishops’ Pro-Life Committee Chairman also praised the decision calling it an “an important victory” for pro-life organizations. “This includes allowing pro-life pregnancy care centers to continue providing life-affirming support to both mother and child without being forced by governments to provide free advertising for the violent act of abortion in direct violation of the center’s pro-life convictions,” stated Dolan.